Will be at the Eastern Economic Association Meetings, that will take place from today, Friday to Sunday at the Sheraton New York Times Square Hotel, New York, NY. Program here. Back to blogging on Monday. 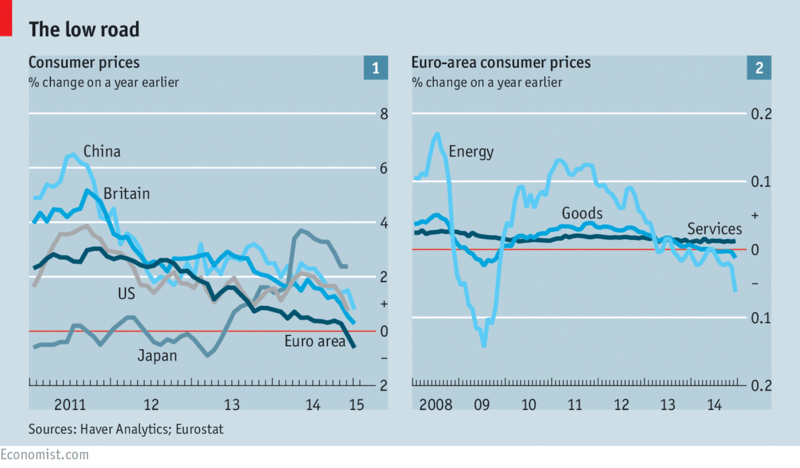 The Economist basically argues for Central Banks to change the inflation target. The Blanchard and Krugman idea, even though The Economist does not propose 4% as the new one. I would still argue for fiscal policy. The whole inflation target idea is a confidence fairy too (as noted before). The Federal Reserve is a hugely powerful institution whose policies have an enormous effect throughout the economy. For that reason, it is doubtful the United States can achieve shared prosperity without the policy cooperation of the Fed. Now, with the economy stronger, there is debate over whether the Federal Reserve should raise interest rates. That conversation is important, but it is also too narrow. It keeps policy locked into a failed status quo which has seen the Fed consistently take care of Wall Street first, while placing the concerns of Main Street a distant second. Though the Great Recession has triggered some policy shift toward helping ordinary Americans, much more is needed. Patience is the new buzzword. Yellen correctly noted that even though the economy is recovering: "too many Americans remain unemployed or underemployed, wage growth is still sluggish and inflation remains well below our longer-run objective." Jean Tirole says heterodox economics encourages "relativism of knowledge" and is "the antechamber of obscurantism" (go here). The response from the Association Française D'Économie Politique (AFEP) is here. The context is the creation of a new section of the National Council of Universities (CNU), which would incorporate heterodox approaches to economics, which was discussed here and here before. Tirole suggests that unless you publish in mainstream journals, and get the approval of people in authority, that won the "Nobel" (Bank of Sweden), Clark or the Yjro Johannson award, you should not count. Heterodox economists are basically: "a disparate group, in trouble with the assessment standards that are internationally acknowledged." He uses his authority as a "Nobel" winner, to reduce the space for alternative views on the functioning of the economy. Note that in his pursuit of closing spaces for heterodox economists, which would not per se diminish the space for mainstream views, he uses the book by Piketty to show how concerned the mainstream is with important issues in the real world. And Piketty's book is certainly very problematic as a discussion of inequality. With the criteria of normal science Galileo was an obscurantist. We all know that the established journals publish the conventional wisdom, and that these are closed to heterodox authors for reasons that have little to do with quality. 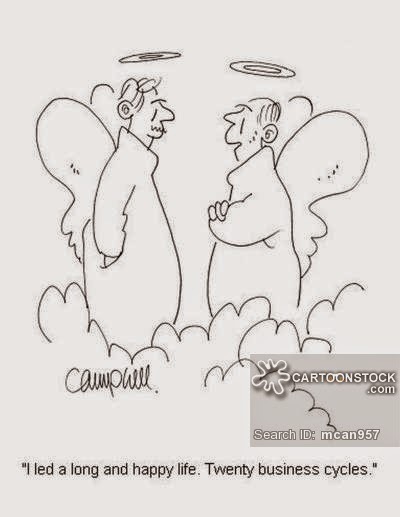 Scientists too follow customs and conventions, and even fashions, which often are disconnected from logic and evidence, as any reader of Thomas Kuhn would know. Tirole does not address any substantive issue. The idea that the mainstream neoclassical theory suggests that markets produce optimal outcomes, and economies move to the natural rate, even in the face of the current crisis, is basically okay with him, and he does not feel he needs to explain why [this is not just Tirole, Krugman keeps repeating that conventional analysis did well during the crisis too, but at least he deals explicitly with the issue; see this, and for a discussion of how little the mainstream has learned from the crisis go here]. Respectability is what gets you published in mainstream journals. Willingness to wrap your ideas in crazy models. So that is the problem with the French heterodox authors. They are not sufficiently hypocritical. The question is why a powerful economist like Tirole is so afraid about heterodox economists. For one, students, and regular people, know when they are been taught crazy models. And if you have something sensible to compare it to, you might be in trouble. Not only you must wrap sensible ideas in crazy models, you must suppress sensible ideas. If nothing else is an indictment of the Nobel in economics, Tirole attitude is. He might be considered 'respectable', since he has the right credentials, but his behavior is disreputable. The Union for Radical Political Economics (URPE) has put a call for papers for the new reader. The last reader was titled Political Economy and Contemporary Capitalism and was published in 2000. I had a chapter on trade and finance (here). It provided an alternative to the mainstream in a variety of topics, including foreign financial crises, health care, social security, and welfare reform, while at the same time demonstrating the variety of heterodox (alternative) approaches available to economic inquiry. It was essentially an academic tool showcasing the latest work in heterodox research. This would be an excellent opportunity for young scholars, and very welcome for those teaching economics, in particular after the failure of the mainstream regarding the 2008 Global Crisis. The definition of middle class jobs is arbitrary and not particularly good. From the NYTimes story, it seems it's basically wages between 35 and 100k per year. 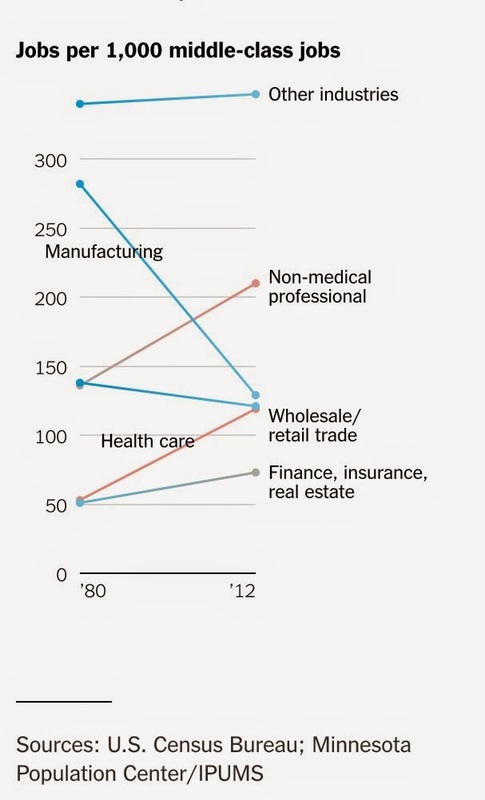 At any rate, less jobs in manufacturing and more in services, particularly in health jobs, like nurses. Also, a gender bias, with an increase in female participation in the middle income jobs. And yes, increasingly these jobs require a college education. So more nurses and less machine operators, or something like that. The problem is that with this the size of the middle class is effectively shrinking (see graph below). This suggests that the majority in the US is not middle class anymore. The divided society between the haves and have nots is becoming the defining characteristic of the US. "Is Greece’s fate in the hands of Angela Merkel? One leading economist with close ties to Greek finance minister Yanis Varoufakis says that the primary obstacle to compromise is a dramatic division within the German government, with one faction demanding that Greece fully adhere to its previous commitments, and another powerful group advocating compromise." PS: Listen also to this interview here. PS': And Jamie thinks that the agreement was good, as I did notice Saturday that it was Mario Nuti's and my own view. Kakistocracy -- Mario Nuti on the Greek negotiations, up to the agreement reached the other day. Note that he sees the extension as a good thing. So do I. I don't think Greece caved, as many on the left have been saying. This is an agreement were everybody can claim victory. Greeks got more time, which they need, Germans didn't make concessions, at least not very early in the process. Warning: too much finance is bad for the economy -- The Economist, following research from Cecchetti at the BIS. And yes they are right, but for the wrong reasons. Finance hurts not because the genius that would have gone to physics ends up in the hedge fund. The reason is too much unregulated finance is prone to crisis. Human Capital Controversy -- David Ruccio on the debate that followed Branko Milanovic's post on ditching human capital, with Nick Rowe among others. Graph/Table of the Week: Wage Compression -- The URPE post, with a link to Ezra Klein's discussion of the Obama economy. The question of whether patents promote or hinder economic progress is unresolved and probably divides the profession. Not always according to orthodox/heterodox lines, I might add. I'm a patent agnostic, as you would know from a few posts (see here or here), in particular because I'm skeptical about the role of property rights in general in promoting innovation, and because I tend to believe in the role of expanding demand in technological innovation. My reading of the evidence is that patents delayed the development of the steamboat, for example, often considered the first major American contribution to technological progress. The thing is that the notion that patents stimulate innovation is based on a sort of hero or great man theory of history, the god like figure that invents a solution out of nothing and transforms the world. This does not describe the messy, incremental process of technological development that seems to be behind every economically significant innovation. At any rate, two CEOs wrote this piece for the Wall Street Journal (yes, my favorite kind of people, in my most cherished news source). 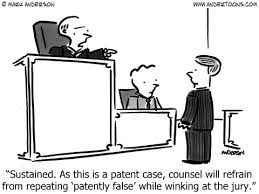 They do note that their: "companies [Cisco and JC Penney] alone have spent well more than a third of a billion dollars in the last five years defending [them]selves against cases brought by patent-assertion entities." Patent-assertion entities are companies that file for patents, and do not produce anything. Like the Vulture Hedge Funds, they make their money in litigation. I love the nickname, Patent Trolls. And this would be additional evidence on the limitations of the patent system. "So far, the Greek achievement consists of stating raw truths in rooms full of self-serving illusions. This exposes contradictions, bringing on facile ripostes, easily rebutted. It also brings on threats and menacing gestures, intended to test resolve. The Greek government seems to have met that test. It can now proceed to the next step. The next step is to define carefully what may be accepted. As for reforms, as much as 70 percent of the previous memorandum is (and always has been) common ground. That which is not – fire-sale privatizations, destructive labor market liberalizations and the unreachable 4.5-percent target primary surplus – can be spelled out. Reasonable language to describe the process of discussion to follow may be found." A short interview given Tuesday morning from Brussels to Greek television. The questions are in Greek but the answers are in English and fairly direct. Not very good news, and not unexpected either. Basically the Germans are blocking a solution. What is needed to get a solution? "Calm and courage," says Jamie. The aim of this paper is to clear up some issues in a second phase of the Cambridge-Cambridge capital theory controversies, when the neoclassical argument was chiefly conducted in terms of the Walrasian specification of capital in intertemporal and temporary general equilibrium models. It is held that the response by the neoclassical side in that phase has not been as satisfactory to rebut the implications of reswitchingand capital reversing as some neoclassical scholars have argued. The reason for this can be traced in the overlooking of the implications of the redefinition of equilibrium implied in those models. Read full paper here (subscription required). I think this might be an earlier version here. This is a bit old, it's from the interview in Snowdon and Vane's Modern Macroeconomics. The questions and answers for the Monetary Union below. Note that this is an interview from 1997. S&V: What are your views on European Monetary Union? Lucas: Again I don’t know enough about the politics, which has to be central. S&V: Does it make economic sense to you? I doubt Greeks are laughing. If you think it was too early too see how turning monetary policy to the Germans was a bad idea see this post on Godley at about the same time. "Since the revival of global capital markets in the 1960s, cross-border capital flows have increased by orders of magnitude, so much so that international asset positions now outstrip global economic output. Most cross-border capital flows occur among industrialized nations, but emerging markets are increasing participants in the globalization of capital flows..."
So a friend asked what to read in order to understand Sraffa's contributions to economics. For some reason the Production of Commodities by Means of Commodities is considered a very difficult book to read. I find that a strange argument. It is similar to the notion that the General Theory is a badly written book, as in difficult to follow (not necessarily the content, but the style), since supposedly Keynes was not a good writer (he actually was a bestseller author, at least his Economic Consequences of the Peace, and a prolific writer for the general public, meaning clear and popular). Sraffa's book explains in plain English most of the essential concepts in his book. I would suggest the reading Part I as one that can be taken without any problem for those with some basic training in linear algebra. In addition, below I'm posting the links to 7 previous posts on Sraffa's contributions to economics, which might be helpful for some. Note that these posts were not written to provide a didactic introduction to Sraffa's economics. Yet, one can follow from them Sraffa's critique of marginalist economics (in the Marshallian tradition) in 1, the relevance of his contribution for the revival of Marx and of a modified Labor Theory of Value in 2, and how that does not make him Ricardian (meaning anti-Marxist) in 3, how he solves the limitations of the LTV and provides a version of it with the Standard Commodity in 4, how his contributions undermine the internal logic of marginalist (supply and demand) arguments in the capital debates in 5, how the capital debates are central for macroeconomics in 6, and how the capital debates have direct relevance for a simple policy issue like free trade in 7 (for those that think that Sraffians don't care about economic policy). If I had to suggest books to read on Sraffa's contributions, I would say that Pasinetti's Lectures on Theory of Production, and Kurz and Salvadori's Theory of Production are the essential books. For a more macroeconomic oriented book the one would be Bortis' Institutions, Behaviour and Economic Theory. Wynne Godley’s Prediction of the Failure of the Eurozone -- Lord Keynes on Wynne's euro skepticism. I posted on this here. Worth noticing that Wynne was very much for the European Union, and not against monetary union per se. He argued that fiscal union (which means political union) should come first. Review of James Galbraith "The End of Normal" -- by yours truly, but in Portuguese. Junk the phrase 'human capital' -- Branko Milanovic on why the term is "ideologically motivated and has contributed to conceptual confusion." Mind you, you must junk also the conventional understanding of capital, but that's another story. Graph/Table of the Week: When did Corporate America begin? -- my regular short post on the URPE blog, based on a graph by Alfred Chandler. His story of why we got the big corporation. In his words: "The new, more reliable, high-volume, regularly scheduled, all-weather transportation and communications provided by the railroad (and steamship) and the telegraph (and cable) brought into being a new institution." Crowding out: what's the evidence? Before the publication of Keynes' General Theory, most marginalist economists were against expansionary fiscal policy. It was believed that an increase in government spending would reduce by the same amount private spending, and, hence, it would have no effect on output and employment. Keynes referred to this as the Treasury View, since bureaucrats at the Treasury were prone to believe it. This has been known as crowding-out in more recent times.The evidence is not particularly forthcoming, as far as I can tell. "Economists worry, therefore, that high deficits imply low levels of investment, leading ultimately to a lower capital stock and so lower living standards. It is, therefore, important to see if this prediction that high deficits lead to high interest rates is supported by the data. Like many empirical questions in economics, this one is difficult to answer unequivocally. 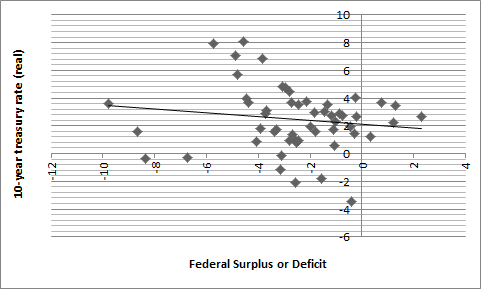 Figure 1 shows a scatterplot of the real government deficit and the ex post real interest rate between 1960 and 2000. While there is some evidence of a positive association, it is not strong." 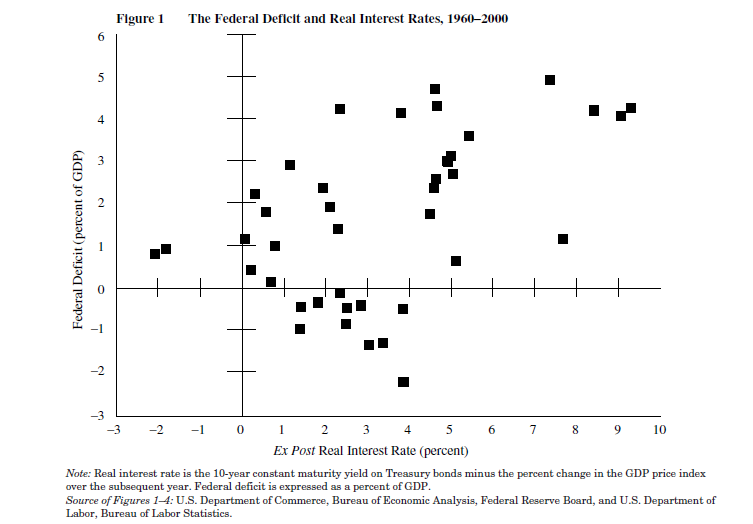 There is a very weak, and statistically insignificant relation between deficits and the real rate of interest (note that in mine deficits are negative). In my view, this suggests that there is no clear relation. Deficits do not seem to impact the rate of interest, and crowding out is not empirically relevant. There are plenty theoretical reasons for not believing in it too. And Ricardian Equivalence is NOT one of those. But that would be material for another post. 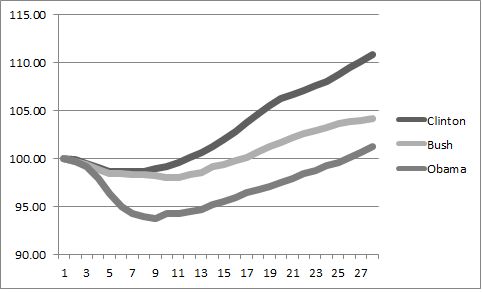 PS: The weak correlation remains even if one adjusts for outliers, by the way. So no there is nothing there, and that's why there isn't much in the mainstream published on this. Teaching ISLM this and next week. I have posted in the past on this, so I'll just put the links below to the relevant posts. There are more posts that deal with some relevant issues that you can access if you click on the ISLM label below. The interesting thing is that, although the ISLM is less used in theory, in particular because the multiplier story at the core of the IS has been substituted by a Ramsey intertemporal maximization story and the LM has been substituted by a Wicksellian interest rate rule, it is still the workhorse of macroeconomic teaching, and likely of simple policy thinking. In many ways the ISLM remains a much better basis for thinking about the economy than modern New Keynesian DSGE models (if nothing else because of the multiplier). Nope, I'm not going to discuss the relationship between access to education and inequality. And yes the mainstream usually gets causality wrong and argues that education is the solution for reducing inequality (it's more likely that education is more accessible with lower inequality). I'm talking about the graph below from The Economist. So the top 10% Universities hold 70% of all the endowments. The eight Ivy League universities hold 21% of the endowments. And the rich universities hold more stocks, mainly in US markets, than the endowment challenged ones. I guess, there must be a high correlation between the universities where the Fortune 500 CEOs went and the top endowments. Debt Is Money We Owe To Ourselves -- Paul Krugman gets debt right, and uses the example of the UK discussed here before. And yes he is right: "the problems with public debt are also mainly about possible instability rather than 'borrowing from our children'." I would add particularly when it's in foreign currency, like in Greece. Talking about Yanis on the BBC -- Steve Keen on Yanis Varoufakis and the Greek crisis. Beyond the headlines -- David Ruccio on why the 257,000 new jobs in January announced yesterday by the BLS are not as good as you might think. Similar to the discussion by Dean Baker here and myself here on the recent GDP news. Bracing for another storm in emerging markets -- Kevin Gallagher thinks the Chinese slowdown will bring commodity prices down, and coupled with higher interest rates in the US spells doom for developing countries. I'm less sanguine about that scenario. But we'll see soon enough. PS: So I disabled the poll. It seems that it's more or less 2 to 1 for leaving the euro (65% yes, and 35% no, at last count). That's my impression after talking to many heterodox economists too. I should note that while not against Greexit, I'm not for it per se. Keynesian theories of the business cycle start from the notion that the changes in income equilibrate savings to investment, and the level of activity is determined by effective demand. In that sense, the economy can fluctuate in the long run, with wage and price flexibility, around a normal position that is below full utilization of labor and capital. Unemployment is the norm. Keynes was not concerned in the GT with business cycles per se, even though he discussed the issue at the end of the book. His main concern was with what he referred to as unemployment equilibrium. It is clear in his terminology, unemployment equilibrium, instead of disequilibrium as Patinkin suggested would be more appropriate, that Keynes meant that unemployment was not the result of some type of imperfection, wage or interest rate rigidities, for example, which became the leading explanation for unemployment among the mainstream Neoclassical Synthesis or New Keynesian authors. Keynes suggested that it was the cyclical changes in investment, which he associated with the marginal efficiency or productivity of capital, in marginalist fashion, that determined business cycle fluctuations. His correspondence with Harrod on the growth model, and Tinbergen's method, suggests that he disliked the accelerator, which was probably too mechanical for him. In that sense, cycles in Keynes own conception depended on shocks, which were associated to the state of long-term expectations, and the state of confidence. Kalecki, which independently from Keynes advanced the Principle of Effective Demand (PED), developed an early theory of the cycle based on the interaction of Keynes’ multiplier process with the concept of the accelerator. Kalecki emphasized the role of time lags between the placing of investment, the demand for new equipment, and the delivery of the new equipment, indicating the dual role of investment as part of demand, but as creating productive capacity in the future. Further, Kalecki suggested that investment orders are a positive function of autonomous demand and a negative function of the existing capital stock. Assuming that expectations about future demand are high, then investment would increase and through the multiplier effect it would have a reinforcing effect on income. The increase in income, in turn, would lead, according to the accelerator, to an increase in investment, leading to an economic boom. However, as investment increases, eventually new investment orders would exceed the replacement requirements, and the capital stock would also rise. This would have a negative effect on the rate of increase in investment, and new investment orders would slowdown first, and then decrease. The decreasing orders would have a negative impact on demand, and through the multiplier, lead to a reduction in the level of income, creating the conditions for a recession. The falling income would imply lower investment, following the accelerator, and even further collapse of income. In the depression, investment orders would collapse and at some point they would fall below the replacement requirements associated to depreciation, leading to a reduction in the stock of capital. Finally, the falling stock of capital would make the need for investment inevitable, and that would lead to more demand and a recovery. The essential mechanism of the business cycle in the Kaleckian model was connected to the lags between the demand effect and the capacity effect of investment. Kalecki assumed that shocks would provide the initial spark for the business cycle, and the multiplier-accelerator mechanism would keep it going. He noted also that only under very specific circumstances would the cycle recur, and that additional shocks would be necessary to avoid a dampened cycle. Kaldor developed a model, later formalized by Goodwin and Hicks, which allowed for the economic cycle to recur even in the absence of external shocks. The central difference in the Kaldorian model was the introduction of non-linear investment and savings functions. The idea was not to deny the existence of stochastic shocks or time lags, but to demonstrate that the economic system would also fluctuate in their absence, and that in a broad sense the capitalist system was inherently unstable. This view of the cycle was dominant and basically accepted by the mainstream Neoclassical Synthesis in the 1950s and 60s. Yet, the notion of an endogenous cycle was one of the first victims of the attack on Keynesian economics in the 1970s. Eventually leading to the Real Business Cycles (RBC) school. Today most macroeconomic textbooks do not even mention the accelerator, even though the empirical evidence for it is overwhelming. And of course on the slow recovery. In his words, "we are still bound by the Age of Austerity." It's worth insisting, since pressures for more contractionary monetary policy are mounting. Hayes bit is more generally about GOP's contradictory complain about inequality and the new Obama budget, which is more progressive than his previous ones. And yes they do talk about Big Government Republicans, but not enough in my view about small government (and pro-Wall Street) Dems. For more on that go here. "Real gross domestic product -- the value of the production of goods and services in the United States, adjusted for price changes -- increased at an annual rate of 2.6 percent in the fourth quarter of 2014, according to the "advance" estimate released by the Bureau of Economic Analysis. In the third quarter, real GDP increased 5.0 percent." In other words, after two quarters of faster growth at 4.6% and 5%, the last quarter has been less impressive, and the overall growth rate for 2014 was at 2.4%. Note that even those two faster quarters have to be taken with a grain of salt, since the first quarter had negative growth, and the subsequent ones seem higher for that reason. This should deflate the overly confident views on how fast the economy is recovering, and about the need to hike interest rates, since inflation is the danger now. Also, it should underscore how additional fiscal expansion is still needed. The labor market presents an even worse picture. Most comments are on the unemployment rate, at 5.6%. But employment is a better measure often. Below the picture of total non-farm employment in the last three recoveries. Note that the last recession was more profound than the previous too, as it is well known. Also, only last year the level of employment surpassed the previous peak, after six years of the beginning of the crisis. The recovery still looks pretty slow. Yanis Varoufakis in Ilan Ziv's "Capitalism"
"The Battle Against Debt and Austerity has begun" from Ilan Ziv is a short excerpt from the whole documentary Capitalism. I appear on chapter 3. Hopefully the whole thing will be out in English soon.